DIY Pest Solutions » Insect Control » What is an Electric Fly Swatter? Electric fly swatters are a great solution for the quick elimination of insects. Unlike many other static options, the bug zapper racket is actually mobile. This allows you to take it with you around the home and even outdoors. An electric swatter is a proven method of getting rid of all the insects around your home. The tennis racquet shape of the tool will allow you to handle it with easy. The best characteristic of the tool comes with its mobile design. 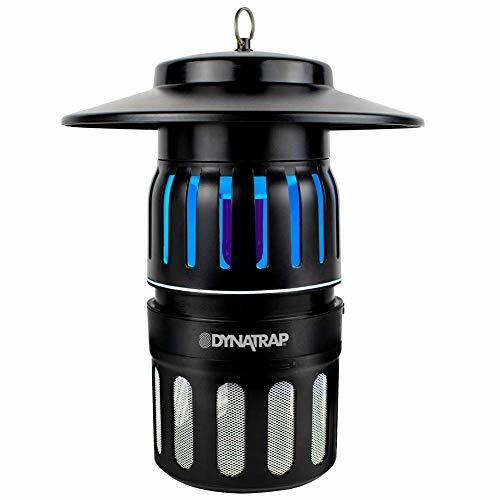 Unlike many other alternatives on the market, it will represent the top solution when you want something different to the classic bug zapper or the mosquito trap. This is the perfect solution when you want a handy tool to get rid of the summer insects or flies around your home in an instant, without waiting for the insects to be drawn to the tool. The best characteristic of usability comes with the simple interaction of the design. You just switch it on and then you are ready to use it similarly to a tennis racquet. Following this growing international trend, you will actually have the ability to eliminate flies with simple movements. Without putting yourself in danger, you will have to ensure that the movements you make stay clear of other people or of other objects as you’ll want to ensure an unobstructed use of the tool. There are many discussions around the safety of the tool. While it is true that you could potentially hurt yourself with the tool, it is also true that you can take advantage of it if you learn how to use it correctly. There are a few basic characteristics and a few things you’ll need to avoid in order to make the most of the tool. This is where finding the best solution for your needs will work the best when you stay safe. One thing to remember is that your swatter might get hot and you will need to keep in a safe place until it cools down after you use it. This is where you will want to find the time to deliver the swatter at its very best capacity every time you use it. You could also damage it if you don’t store it properly and this is why it is important to actually make the most of the tool by letting it properly cool before placing it back in storage. You will also want to keep it away from the reach of children. With so many situations where children can harm themselves, you can take the opportunity to read the manufacturer’s recommendations when it comes to using it in a household with children. Even more, you will want to ensure you fully read the safety precautions and the full instructions before you use the tool for the first time. An electric fly swatter can also represent a complementary insect control device you can use in addition to your bug zapper. If the zapper will work perfectly during night-time, the swatter can represent a solid day-time solution. You will also want to ensure you make the most of the tool by actually using it in addition to a larger device which can constantly eliminate flies during night time. These devices usually use ultra-violet light and they have different technologies made to actually attract flies during night-time. With the swatter, you will not be attracting flies and you will be going after them. This means that you will have a great complementary solution to the night-time performer. When you plan a weekend away during the summer months, there are very few things you can do to eliminate flies and improve your experience. An electric fly swatter might prove to be the best solution when it comes to transportation capabilities coupled with a good performance. This might be the perfect time to test the tool for the first time as well as you can make it a permanent solution for your home down the road. Taking the swatter with you on holiday should also come with its own set of rules which would keep you and the people around you safe. First of all, nobody should use the swatter without your explanations. You might also want to ensure that when you lay it and allow it to cool down that you actually place it on a safe surface which is not flammable. This is how one of the famous swatter accidents happened and you want to ensure this will not happen to you. Finally, you want to ensure that the tool is stored away from the reach of children or other adults when on holiday. Electric fly swatters can represent a handy option for all types of users. They are considered among the most interesting options when it comes to quickly eliminating flies. On the other hand, they get plenty of criticism in a world that is increasingly worried about safety standards. The good news is that you will still be able to use the tool, but you will have to learn how to do so without putting yourself or other people in danger. The best route starts with reading the complete instructions and the guidelines of the manufacturer. This will actually ensure you understand how the fly swatter works, how it performs under certain conditions and how you can use it to the best performance and the best safety standards. The final results and your safety will largely depend on how you use it. The good news is that it can also represent a solid option for a more permanent fly-eliminating solution.